Hey everyone! Looking for the following items for the POTA Tree House I just recieved. -Weapons Bench with or without the weapon. Though the weapon would be a nice get. 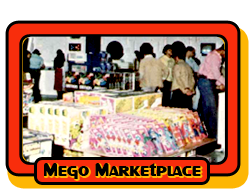 If there is anyone out there in Mego Land that can help out, I'd greatly appreciate it! Let me know if you're still on the hunt and I'll have the last of my boxes unpacked this weekend to confirm.